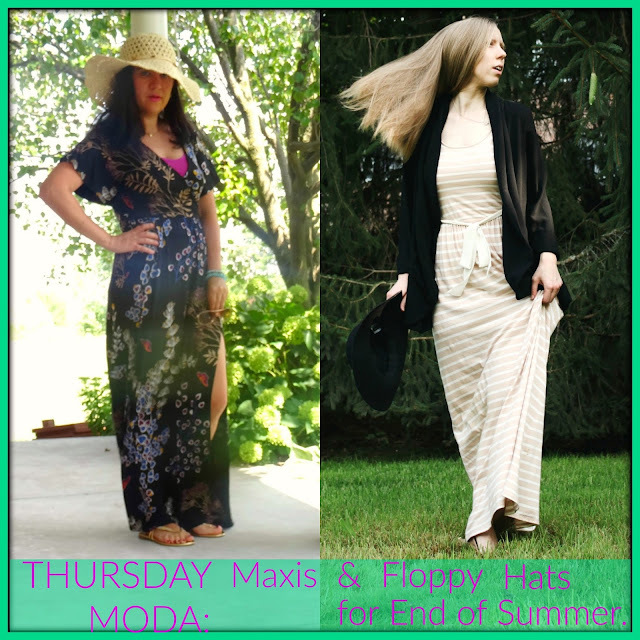 Thursday Moda #76: Maxis and Floppy Hats for End of Summer. 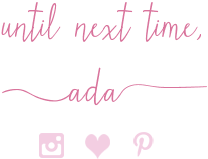 Thank you to everyone who has stopped by, linked up, visited and commented on my blog when I was away for almost 2 full weeks while on vacation. I am back with linkup #76 and this time I am joined by the Lovely MARY from The Mary Curator - I love the name of her blog by the way. 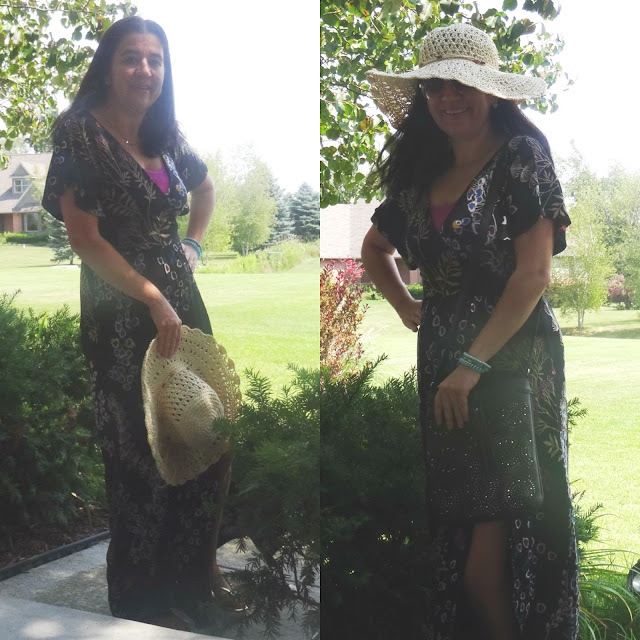 We decided to style Maxi Dresses and Floppy Hats which is fitting for Mary's style since she wears a lot of maxis and a lot of hats - she looks great in all of her hats. Not only does Mary curate an awesome wardrobe from which we can take inspiration especially when it comes to Bohemian and Vintage-Inspired Looks, but she is also a fantastic photographer and an awesome writer. She recently redesigned her blog herself and also shared 20 personal facts about her. Did you know this girly girl has Lyme's disease, yet she doesn't let it affect every aspect of her life or her good spirits! 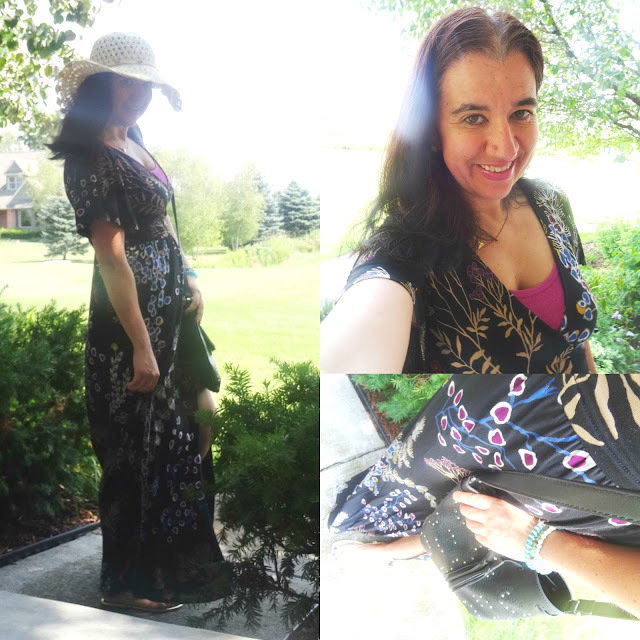 We decided to show you two ways how you can (still) wear Maxi Dresses and Floppy Hats especially now towards the end of Summer. Mary sort of Fall-ified her outfit by draping a light collarless jacket on top. I, actually wore this maxi dress yesterday after switching from my work clothes. I left work a little early so I could go register Vivian for pre-school and it was over 80 degrees out. This Breezy Floral Maxi Dress with that thigh-high slit did the trick. To keep it mom-friendly I layered a Magenta/Purple Tank Top underneath it (by Kohl's from this year - I own 4 of these tanks and love them, I linked similar ones by Kohl's). And this dress has an off-black background with dark florals like tan, teal, magenta and brown so you can totally wear it into Fall and even in early Winter with some thick black opaque tights. 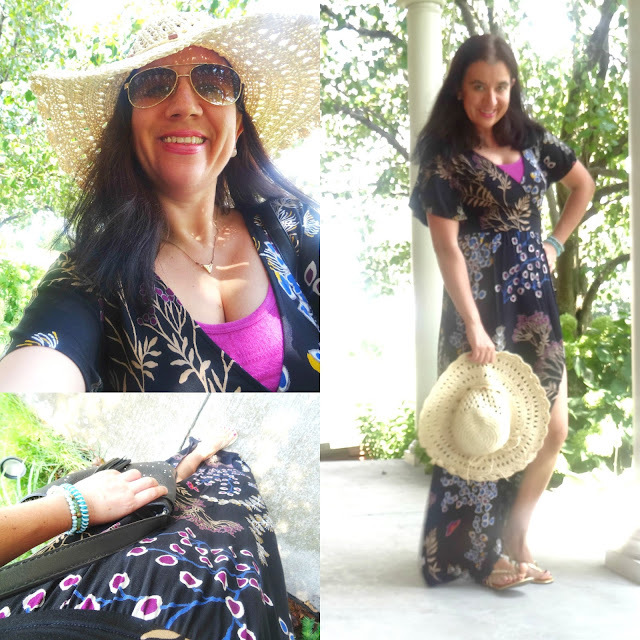 But since it was hot as f**k and let's face it - it is still VERY MUCH Summer - I wore it with my Gold Leather Thong Sandals by Bebe (RIP Bebe - a brand I loved), which I have had for years and carried this fairly-new Black Laser-Cut Tassel Crossbody Bag by Express. Speaking of Express, this Gorgeous Maxi with the most flattering empire-waist style is from there as well. Express rolls out a version of this dress every Summer. Mine is from last year. The faux wrap style compliments every type of body. 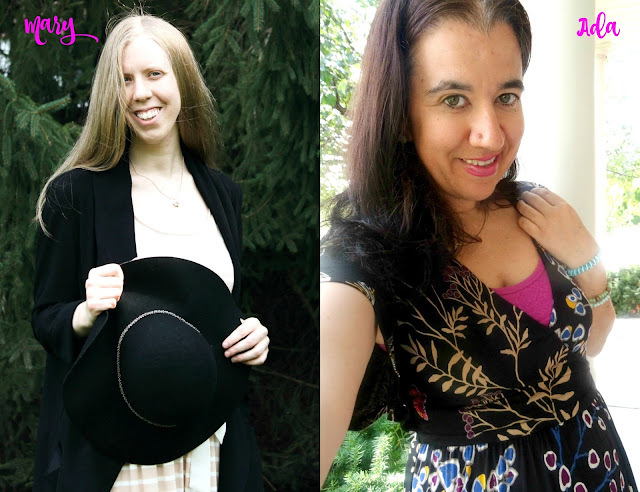 Last, I love my Neutral Woven Straw Floppy Hat with the skinny bow around the rim. I have had it probably for a decade. I am so happy I am re-starting to wear hats again these last couple of years. And for early to mid Fall I would simply add a long grandpa cardigan, switch the hat to one of my Felt Floppy Hats and any type and color of Bootie will do: red, gray, brown, black, magenta, navy, olive, burgundy or tan- they would work. What do you think?! 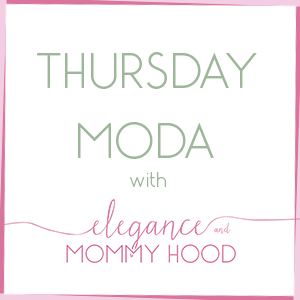 Today's Fabulous Thursday Moda Co-Host: The Mary Curator. Mary always rocks neutrals and monochromatic looks. Her style is feminine, girly but not too frilly, a little vintage, a little boho, clean and put together. She loves and wears a lot of tulle, and of course - hats. Also, Mary just started a new job this week - congratulations dear Mary! "The Mary Curator is the curated digital diary of Mary Colleen, sharing her life and style. A storyteller at heart and an information scientist by trade, she shares life stories, outfit ideas, and blogging resources.